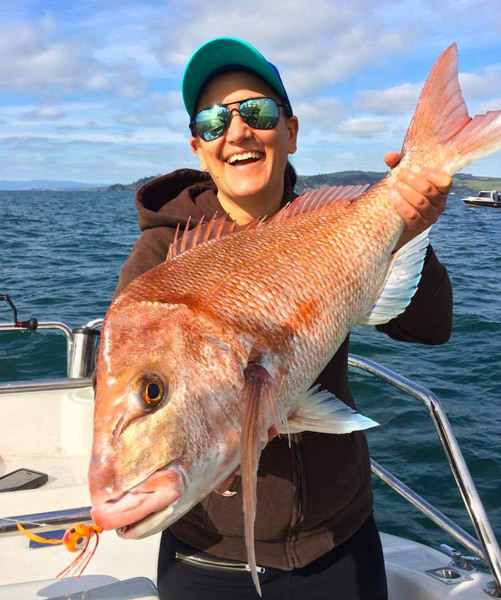 The Hauraki Gulf boasts the best snapper fishery in the world. Combine that with 4 gannet colonies, bottlenose and common dolphins and a resident Brydes whales population, and it adds up to arguably nature’s most spectacular show being the work up. Dolphins or whales force bait fish towards the surface, providing an easy meal for the seabirds. At the same time, remnants of baitfish fall to the sea floor, drawing in hungry snapper. This is Auckland fishing at its finest. We carry an array of cutting edge Catch Fishing tackle on board, such as Catch Betabug, ideal for targeting larger fish, or the deadly Catch Freestyle Kabura, highly effective at stimulating a bite on a tough day. We can also offer micro jigging, slow pitch or mechanical jigging for snapper.